Mostly, people use jasmine oil as a mood booster, an anxiety reliever and a sedative for sexual arousal. But jasmine oil seems to have some more amazing benefits for your overall health. Jasmine is a flower, the fragrance of which is truly overwhelming. 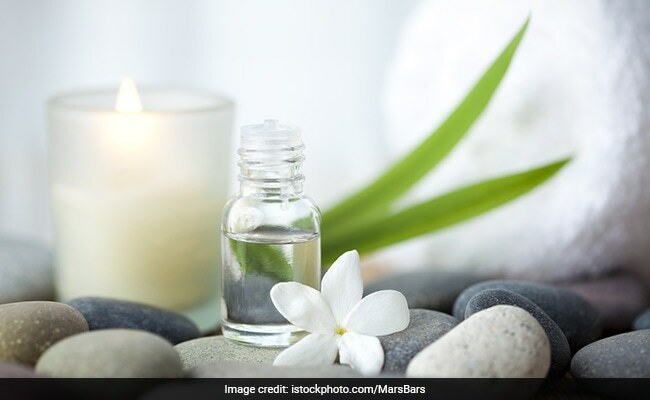 This is why people use several products made from jasmine-like scents, perfumes, body lotion, creams and most commonly, jasmine essential oil. The extraction of jasmine oil is done from common jasmine flowers through the method of enfleurage, a time-consuming process where the flowers are left on a bed so that it is infused with the resilient oils of jasmine. The oil is widely used in aromatherapy and even for simple massages. This oil proves to be really effective for a number of health conditions like heart rate, stabilizing blood pressure, temperature, stress response, enhanced alertness, and breathing. Chemical components like benzyl, benzoic acid, benzaldehyde, benzyl benzoate, benzyl alcohol, geraniol, linalool, methyl anthranilate, nerol, and methyl are present in jasmine oil. These work as germ repellants and disinfectants. Mostly, people use jasmine oil as a mood booster, an anxiety reliever and a sedative for sexual arousal. Jasmine oil has been extensively used for skin care, specifically for reducing inflammation, for anti-aging purposes, and even for dry skin. It is advised to use it on split or open wounds on the skin as it provides a non-sensitizing effect. As a result, this leads to a hypersensitive reaction, soreness or even irritability. It is also commonly used to treat eczema as well as dermatitis. Mixing jasmine oil into the face cream, shower gel or body lotion can help reude blemishes, eliminate dryness, and prevent oily skin, limit wrinkles and fine lines. With the skyrocketing stress levels in every person's life, sleep patterns seem to be affected the most. One way of improving sleep patterns is The combining properties of jasmine essential oil act as an expectorant, medication, and antispasmodic make for an excellent tool for producing long, comfortable, and peaceful sleep at night. Jasmine essential oil also helps in reducing signs of insomnia and sleeplessness. Studies show that jasmine fragrance helps in normalizing heart rate and even in boosting feelings of recreation. For thousands of years in Asian countries like China, jasmine is used as a community medicine for combating hepatitis, multiple internal infections, respiratory and skin disorders. The constituents like benzaldehyde, benzoic acid, and benzyl benzoate in jasmine oil comprise antiviral, antibiotic and antifungal properties. This makes jasmine a powerful agent for improved immunity and fighting illness. A special compound, the secoiridoid glycoside present in jasmine oil is one of the oil's primary ingredients that fight deadly infections and improves immunity. Rubbing jasmine oil on your skin can make you attentive and boosts energy. According to studies, the active ingredients enhance heart rate, body temperature, and brain exercise, required for active learning and problem-solving. Including jasmine oil in your bath wash or rubbing it on your skin during the morning shower helps in improving concentration. Jasmine oil belongs to the group of essential oils. It helps balance hormone levels as it acts as phytoestrogens. It is a plant constituent with a phenolic structure similar to estrogen. This gives jasmine oil the lead to help correct premenstrual syndrome (PMS), menopause and other hormonal problems. Jasmine oil massage or inhaling it can help reduce PMS symptoms, including headaches, stomach ache, crampss, acne and other PMS symptoms.